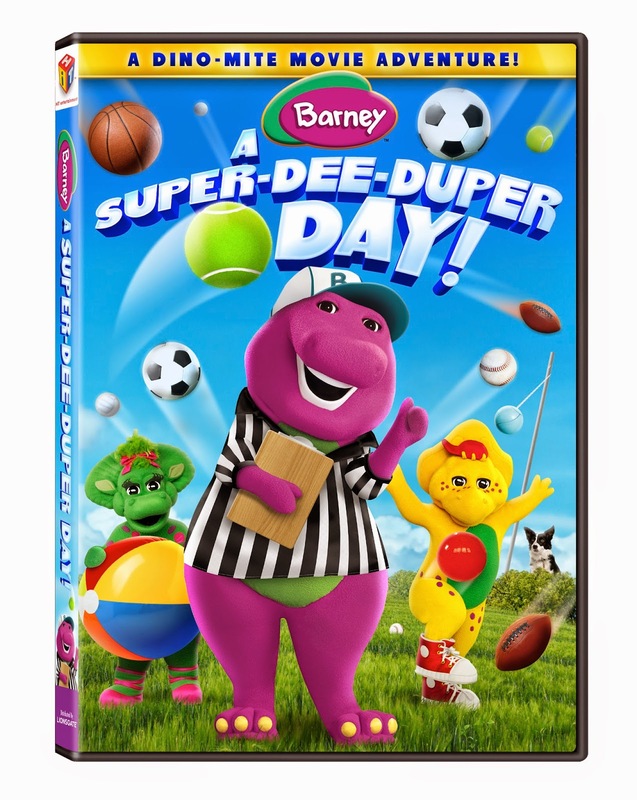 Barney: A Super-Dee-Duper Day became available on DVD, Digital Download and On Demand on July 15, 2014 from Lionsgate Home Entertainment. The DVD will include bonus features like a karaoke music video as well as a counting game. The synopsis says "When Barney takes his friends on a dino-sized adventure, everyone has a Super-Dee-Duper Day! Barney encourages everyone to use their imaginations to remember the lessons they learned during their super Sports Day in the park showing them that sometimes the most rewarding activities are the most simple. From playing ball and hopscotch to riding bikes, playing basketball and much more, Barney, BJ™, Baby Bop™ and Riff™ show how the power of friendship makes everything fun!" Giveaway: Lionsgate is going to give one of A Lucky Ladybug's lucky readers Barney A Super-Dee-Duper Day DVD of their own! My son really likes Barney. He knows the songs and everything. Love Barney??? Yes, we all do, me, my daughters, granddaughters and now my great granddaughter as well!!! I have one child who loves Barney and one who hates Barney. I love Barney. My kids grew up with him and now my grand kids love him. My kids always loved Barney! We watched A LOT of the big purple dinosaur over the years! My kids love Barney, I don't but I guess it's okay. Yes, Barney makes us laugh. My daughter was a fan and now hoping my grandchild will be. We are huge fans of this show! My nephew is a huge Barney fan. So was his dad. I'm not a fan but my nephew is. We watch Barney and his friends all the time, we like all the different songs that they always sing. My kids are grown so this would be for a friends child but my kids were huge fans of barney when they were young. My son loves Barney. It is cute show.